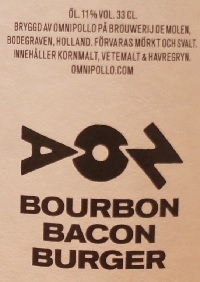 Brewer Description: (from website) Brewed with 50 kg of actual bacon. This imperial stout hits the perfect spot between, salty, smoky and sweet. Not suitable for vegetarians. Amazing for everyone else. Intro: A 330ml bottle, bottled on 10th July 2018, and with a best before date of 10th July 2023. Poured into a snifter glass. Appearance: Dark dark brown to black in colour with a half finger mocha brown head that dissipated fairly quickly but left some tiny spotty lacing. Aroma: Chocolate, fudge, nuttiness (maybe pecan), smoky, tar, slight peat even, and caramel. Taste: Moderate sweetness, chocolate, roasted malts, smoky, smoked ham, charred wood. Finish was a little weird chemical / plastic-y. 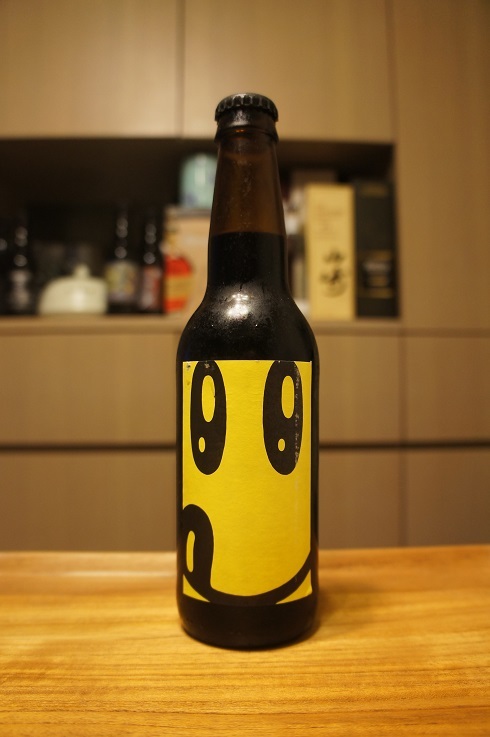 Overall: Chocolate and roastiness was nice, the smokiness was ok, but somehow the mix brought out a chemical / plastic-y finish, which was not the end of the world, but enough to make me think that perhaps once is enough.